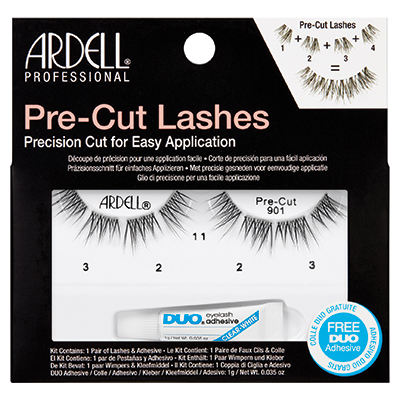 Lashes are pre-cut into four small segments for easy application and better control. Apply all four segments to achieve a full strip lash look or apply fewer segments to accent the eyes. FREE DUO clear adhesive tube (1 g.). 901 Style. Black.